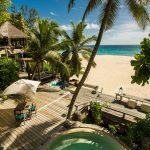 Cocooned by the warm Indian Ocean a thousand miles east of Kenya, the Seychelles is the ultimate picture-perfect pin up of a beach getaway. Its archipelago of over 115 tiny granite and coral islands was once inhabited by 17th century pirates and plantation owners. 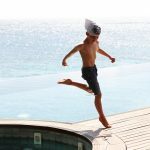 Today its unspoilt soft creamy sands and crystal clear turquoise water has hosted royal honeymoons, private island escapes and some of the most exciting hotels which offer a rare feeling of exclusivity on a beach paradise. The largest island, Mahe, is only 26km long where smart expansive resorts are encapsulated by beautiful beaches and lush forest. The astonishing scenery lends itself to complete relaxation but water sports such as sailing, kayaking, snorkelling and deep sea fishing make the most out of the extraordinary azure waters. 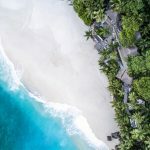 30 miles away to the northeast of Mahe lies its neighbour Praslin, the second largest island in the Seychelles, home to the famous coco de mer palm trees and pretty vanilla orchids. 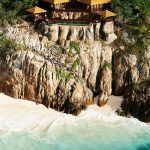 The dreamy Fregate Island is not only a sanctuary for humans, but also for the wildlife that dwells amongst colossal granite boulders and verdant tropical vegetation. Its residents include gigantic Aldabra tortoises that roam the land (one is 150 years old), rare bird species that nest in the leafy trees and the endemic Fregate Giant Tenebrionid Beetle, all which are preserved by the island’s major conservation efforts. 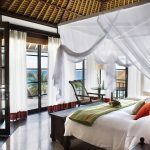 Recline on a sun bed from your thatched villa perched on the cliffs and soak up the sights and sounds of the surrounding nature. One of the most exclusive beach experiences in the world, North Island allows for a rare privacy that attracted the Duke and Duchess of Cambridge when they visited on honeymoon. 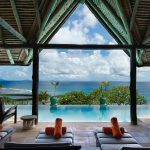 With just 11 elegant villas, pad barefoot around this private tropical paradise and immerse yourself in the sublime Indian Ocean scenery. Charter a yacht at sunset or enjoy champagne picnics on soft white sands. A relaxed atmosphere can be found on the outskirts of the Seychelles on Denis Island. Its PADI-affiliated dive centre accommodates all levels who wish to explore the marvellous dive sites teeming with marine life including stingrays, tuna, turtles and dolphins. Whilst the island’s shallow banks are perfect for wading in sun-drenched water, excellent fishing can be found further out in the deep blue ocean. 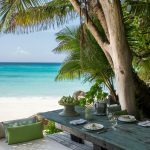 At night you can have dinner just about anywhere – barefoot on the beach, nestled in a tree house or candlelit in your villa. © 2016 - 2019 Antilophia Ltd.